Elegantly lustrous with a smooth finish that allows garments to slip on and off gracefully. Brushed soft Bemberg for lingerie that gently envelops the body. For people who want intimates that make them feel beautiful and comfortable, Bemberg offers refinement and luxury. With its soft, smooth finish, Bemberg enriches people's lives all year round through its superior comfort. 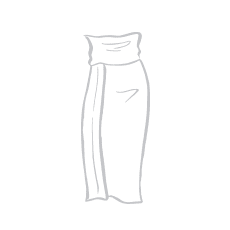 A gentle texture and comfortable to wear are generally preferred. A material with a comfortable touch, Bemberg is used for a wide range of everyday items. Made of fibers with an almost perfectly round cross-section, Bemberg yarn has a smooth surface. 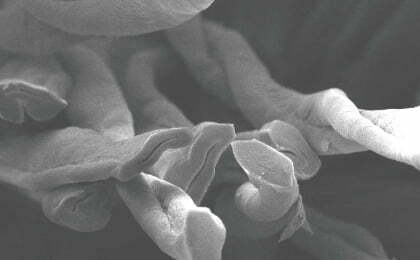 This means it irritates the skin less than other materials and is unlikely to harm delicate skin. 2Because the fiber breathes, it controls moisture and keeps the wearer comfortable. Bemberg has excellent moisture absorbing and releasing properties, which allow it to control moisture and keep the inside of clothes comfortable. With a gentle texture and excellent moisture absorbing and releasing properties, items made of Bemberg can be used in all seasons. In summer, when the temperature is high, it feels comfortably cool because it contains a lot of moisture in the fibers and therefore creates cooling touch. 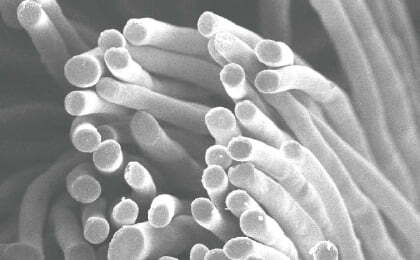 In winter, when it is cold, Bemberg creates warmth by accumulating heat which is generated by absorbing moisture. 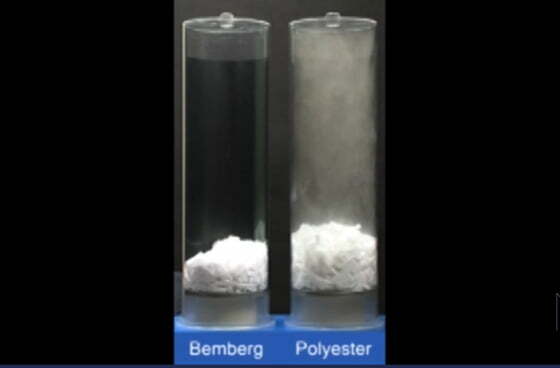 With a special technology that blends Bemberg with synthetic fabric (such as polyester and nylon), Bemberg becomes stronger and creates a comfortable in-clothes environment in summer due to its excellent capability of absorbing and releasing perspiration. In winter, a combination of Bemberg and a heat-retaining material creates warmth. 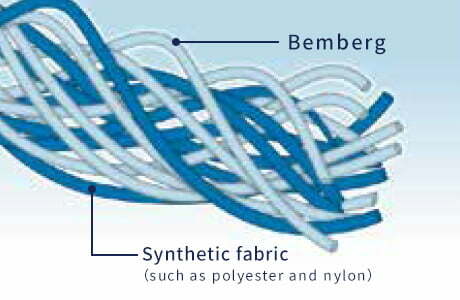 Made from cotton, Bemberg is a supple fiber with excellent moisture absorbing properties. It keeps the wearer comfortable while also allowing them to dress elegantly. 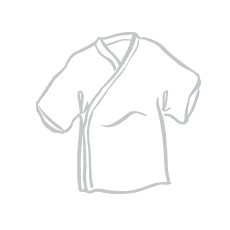 Bemberg inner wear for kimono has a wide range of functions. 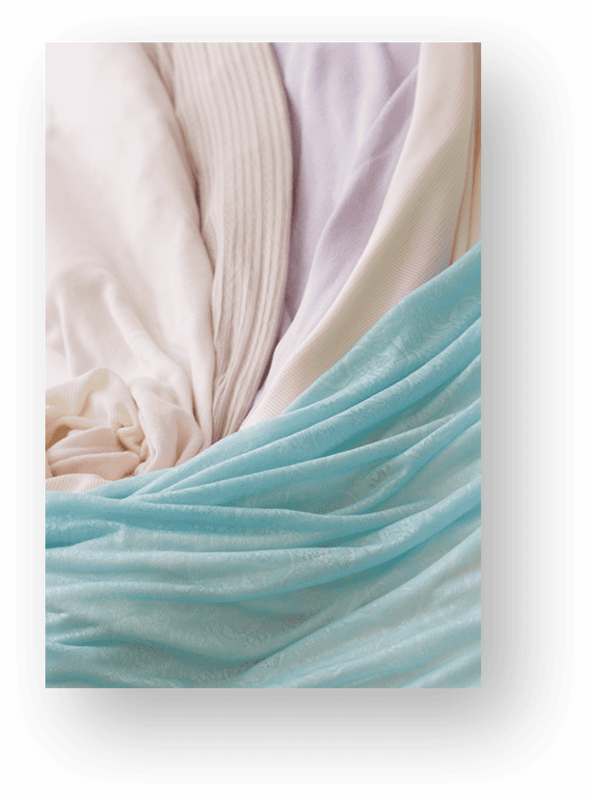 The fabric is very soft, and the inner wear is comfortable and gentle on the skin. 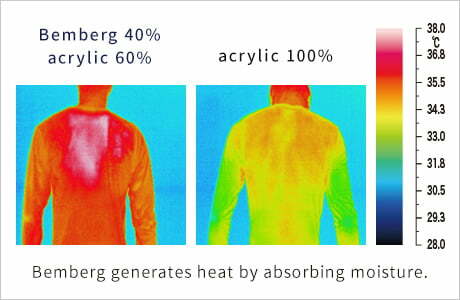 Bemberg controls the moisture inside the clothes, thereby keeping the wearer comfortable. 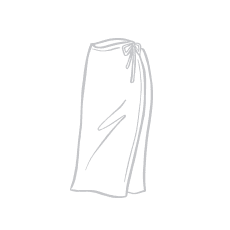 Bemberg does not cling to the skin, ensuring that the hem moves smoothly and keeping dust away from the clothes. 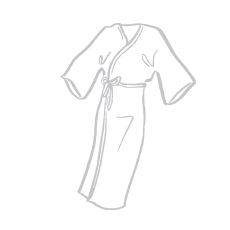 Because the fabric is smooth, it makes the silhouette of the kimono even more elegant.